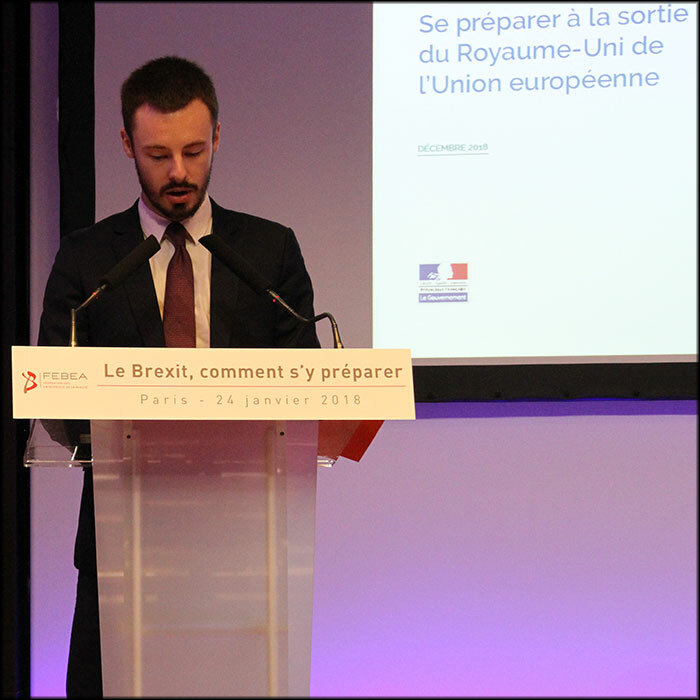 On 17 January 2019, the French government launched the “Plan related to a Brexit without agreement”. For some time now, the possibility of an exit of the United Kingdom from the European Union without transition has been less and less ruled out, and incentives for companies to do so have been increasing. At the information meeting organised by FEBEA on 24 January 2019, Antoine Descamps, from the Bureau of Trade Policy and Export Support of the Directorate General for Enterprise, detailed the actions taken by the State services to help them do so. Without an agreement at the end of March, he recalled, the United Kingdom becomes a third country to the European Union, with which France has no trade or sectoral agreement.